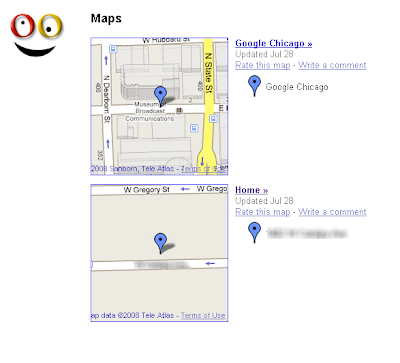 Google's Chicago office is easy to find. The address is at the bottom of every email sent out by Feedburner (who offer email subscriptions as well as RSS now). In one custom map collection a Google user called Sarah has made only two maps; one of Google's office and the other showing her home. Many people would assume they've just found the home address of a Googler.